G. Pulla Reddy College of Pharmacy is established in the year 1994-95, sponsored by G. Pulla Reddy Charities Trust, under the chairmanship of Late Sri G. Pulla Reddy garu, a Philanthropist, social reformer and well known as Sweet Pulla Reddy. He has promoted several educational institutions under the Trust. The college is located in a beautiful campus in Mehdipatnam, Hyderabad. The campus is spread over in 5 acres of land in a calm & quiet natural habitat. Mehdipatnam is well connected to all corners of the city by local bus services. In this campus G. Pulla Reddy High School and G. Pulla Reddy Degree & PG College are also located. ADINA Institute of Pharmaceutical Sciences was established in 2005 under aegis of Shri. Prem Chand Jain Memorial Society For Education. We are providing research oriented education in its fully wi-fi campus, experienced faculty members as per the norms and standards of AICTE, PCI and RGPV. AIPS has mordem lecture halls, well equipped laboratories, e-library, computer labs with internet facility. 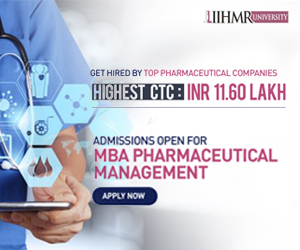 It is an ISO 9001 : 2000 certified institute, it is offering B. Pharm & M. Pharm in three disclipine : Pharmaceutics, Pharmaceutical chemistry and Pharmacology. A Leading Competitive and Market Intelligence conference – The only gathering of senior level professionals from Pharma, Biotech and Device professionals looking for the latest updates and learn about the most critical and relevant issues facing the competitive & Market Intelligence community. The conference theme is “Driving the future of Pharma Business through Competitive & Market Intelligence”. The conference aims to understand how the pharmaceutical & Biotech companies, marketing, competitive intelligence, strategic and operational divisions are staying updated with accurate information about their competitors in today’s dynamic Market to keep themselves ahead and deliver business value. It will also discuss major issues and unveil solutions to the challenges faced by today’s CI professionals in the industry. Listen to the dynamic leaders and industry expert discussing and presenting case studies for best practices. Pharma CMI also gives an opportunity to meet and network with Industry thought leaders & peers within Competitive Intelligence Industry in one location. IF you are interested to learn how to utilize competitive & market Intelligence to keep yourself ahead in 2017 and beyond to boost your business. Clinical Operations in Oncology Trials (CTO) is the only operationally-focused oncology conference in the USA. Alongside our West Coast conference, the East Coast conference in the Boston biotech hub is tailored specifically for Clinical Operations/Development/Research and Medical Affairs pharma and biotech representatives in the region. With a dynamic programme written for the industry, by the industry, our 7th annual CTO East Coast event and promises to be an engaging and memorable conference. 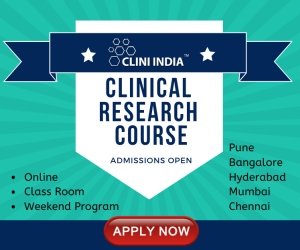 Optimizing clinical processes within oncology trials to ensure effective patient recruitment, trial management and achieve trial success is central to this year’s conference. OCT Medical Devices moved to Irvine, California for the first year in 2016, and we are pleased to say it proved a resounding success. As the only event to cater for the Southern California Medical device hub in Irvine, it brought together a variety of medical device companies of all sizes, including Medtronic, Edwards Lifesciences, Onciomed, Inc and St Jude Medical. The encompassing agenda focussed on the most pressing topics within the industry, from emerging markets to medical device reimbursement, and it still stands as one of the leading clinical focussed events which encompasses discussions across the med-device industry. North East Pharmaceutical Convention (NEPC) is a sincere initiative of Pharmacists from all sectors of the Pharmacy Profession of North Eastern states to create a platform for deliberating various issues related to Industry, regulatory, academia, hospital pharmacy and other related fields. North East due to its topographical location and connectivity with South Asian Nations has potential to be a major Pharmaceutical Hub of the country and can have significant contributions to the country export. NEPC is an effort to expose the potential of this region to get transformed into a Pharmaceutical Hub in the country under the Act East Policy launched in Nov 2014 and Make In India policy of the Government of India and thereby parade for North East Industrial Investment Promotion Policy (NEIIPP) to rejuvenate vibrant NE Region. This shall be helpful in creating awareness and more job opportunities for the thousands of aspiring Pharmacy professionals (e.g. D. Pharm, B. Pharm, M. Pharm, Pharm.D, PhD.) of the region. The NEPC is an attempt to evolve collective wisdom of Pharmacy Professionals of the region for formulating newer policies in the relevant fields and for the betterment of the profession and health care system. Parul University was established under Gujarat Private University Act 2009, after legislation passed by the Government of Gujarat on 26th March 2015 giving University status to Parul Group of Institutes functioning under the aegis of Parul Arogya Seva Mandal Trust. Parul University is an amalgamation on 28 Institutes offering 100+ programs in Engineering & Technology, Pharmacy, Physiotherapy, Homoeopathy, Ayurveda, Architecture, Management, Business Administration, Computer Application, Fine Arts, Social Work and Vocational Education at Diploma, Under Graduate, Post Graduate & Doctoral Level in a 150+ acre fully equipped campus housing 25000+ students, 300+ International Students from 26 Different Countries, 2000+ faculty members & providing in-campus residential facility to 7000+ students making it India's Premier Multidisciplinary University. Nevertheless the fact is that it is the only institution in Gujaratto have 109 faculty members from reputed organizations such as NTs & NITs. UBM India the organisers of InnoPack Pharma Confex are pleased to announce the 2nd Edition of India Packaging Awards. As India’s first & only packaging Awards this initiative is dedicated to honouring the revolutionary and inspiring innovations of radical thinkers of the industry who drive this thriving industry’s success.